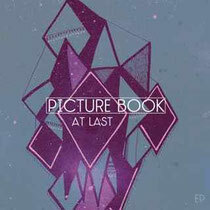 Picture Book is brothers Dario Darnell and Lorne Ashley, born in New York City and raised in Manchester, UK. Dario and Lorne have inherited a love of song writing and performing from their father August Darnell, lead singer and band leader of the legendary Kid Creole & The Coconuts. Dario and Lorne have spent the last three years based in Liverpool, where they attended University whilst writing, recording and performing, often contributing their skills to other artists work, whilst creating a musical agenda for their artist project, Picture Book. In creating their own unique style of electronic dance music, they perform multiple instruments in their live show, often simultaneously, to create exciting and memorable live performances. They will release their first commercial EP 'At Last' in January 2012. The four-track EP was co-written and recorded with Grammy nominated vocalist Greta Svabo Bech, who featured on Deadmau5's 'Raise Your Weapon'. The EP demonstrates the breadth of songwriting skills, from the uptempo and immediate ‘Sunshine’, to the more reflective ‘Terminally In Love’.